(Bloomberg) -- Prime Minister Narendra Modi’s government faces a no-confidence vote on Friday as the opposition uses the new monsoon session of India’s parliament to challenge his administration ahead of general elections early next year. 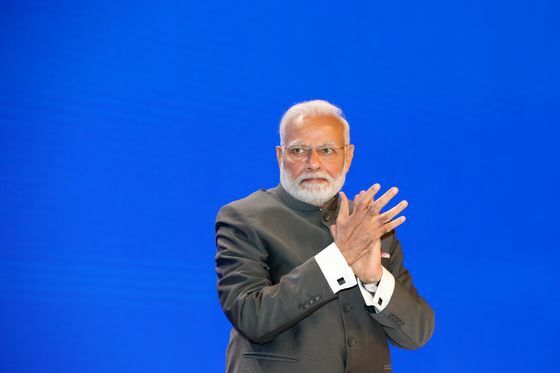 With a majority in India’s 543-seat lower house of parliament, Modi’s coalition is expected to defeat the no-confidence vote. But the opposition, including the Congress party led by Rahul Gandhi, will use the debate to pressure Modi on issues including women’s safety, mob lynchings and the restive state of Jammu and Kashmir. Since December, Modi’s ruling Bharatiya Janata Party has faced numerous challenges, after a relatively smooth first couple of years in office. He narrowly won his home state of Gujarat in December with a wafer-thin majority, lost crucial by-elections in some states and failed to form the government after winning the most seats in Karnataka’s state election in May. On Wednesday as the latest session of parliament began, house speaker Sumitra Mahajan accepted notices demanding a no-confidence debate and vote from Congress party and Telugu Desam Party lawmakers. Opposition parties had tried to push the no-confidence motion in the last budget session in March and April, but were prevented by the continuous disruption of the lower house of parliament, which frequently descends into shouting matches. Parliamentary Affairs Minister Ananth Kumar said the government is ready to face the non-confidence motion -- and will win it, because of their majority. A leader of the Congress party, Jyotiraditya Scindia, said the opposition will use the opportunity to raise the issues of women’s safety and farmer distress.